Everyone wants their day to start on a positive note. However, that’s not always possible. How do you work out a morning routine that will not only keep you fit and healthy, but help you feel energized and ready to start your day? The following are some simple morning rituals you can follow to help get your day off to a happy, healthy start. Try them out – they don’t even take that much time, so you can easily fit them into a busy schedule. 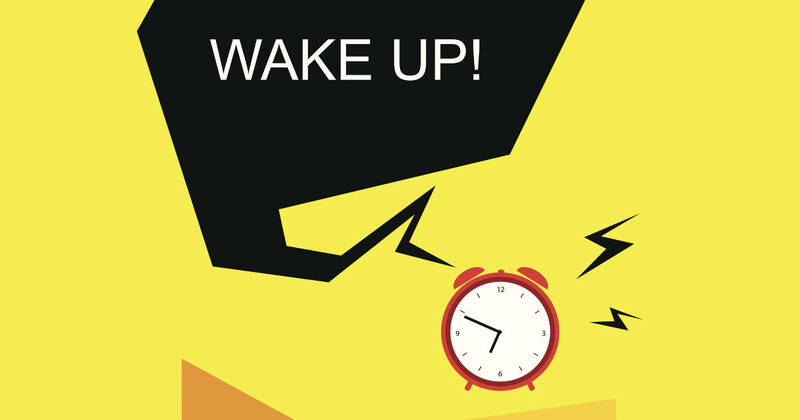 It’s tempting to hit the snooze button, especially if your schedule has you getting up early every morning. But you’ll pay for that extra 10 minutes in bed with a more rushed morning – maybe you’ll skip breakfast, or experience extra stress in getting the kids off to school on time. Regular chronic stress like this is terrible for you, according to numerous studies(1) – so spare yourself the agony and make sure you have an effective alarm clock. Try positioning your alarm clock across the room from your bed so that you have to actually get up in order to shut it off. Sleeping, especially if you sleep curled up or in an awkward position, can actually cause muscle stiffness. Stretching every morning will help you feel more limber, and get your circulation going, increasing blood flow. You don’t even need to dedicate that much time to it – just five or ten minutes of mild stretching can make a world of difference. If you’re feeling extra motivated to move your body, morning may be the best time to be physically active – it gives you an energy boost and helps you feel more alert, both of which are useful at the start of the day. That means no sleeping in on weekends! As tempting as it may be to allow yourself an extra hour or two when you don’t have to work or get the kids to school, disrupting your sleeping patterns can lead to difficulty sleeping at night, which leads you to feeling sleepier and having a more difficult time in the morning. Make sure you motivate yourself to get out of bed and go to sleep at the same time each day. A breakfast rich in iron, protein and fibre won’t just taste great but it will also help you feel more focused and alert during the day, and also help curb your appetite as the day wears on(2). And have some oranges while you’re at it. The vitamin C from the oranges will help increase iron absorption. Plan your outfits ahead of time the night before, and don’t just slouch around in sweatpants all day – even when you’re not working or are working from home, it’s important to dress for success. Forbes magazine says that “comfortable” clothing, as opposed to more professional wear, will cause you to subliminally think it’s time to relax, and lead to you doing less work(3). So make sure you’re dressed well – even when you don’t think you necessarily have to be. These habits may be hard to get into at first, but once you’re used to them you’ll barely notice – and you’ll feel more alert and motivated throughout the day. The best part is, they take very little time, especially if you’re already a “morning person”! If you’re not, though, don’t worry – you can learn.